Building an home theater PC (HTPC) or personal cloud? The Intel® NUC with an Intel® Celeron® processor gives you control over your digital media. HDMI* video, an infrared sensor port, and internal 2.5-inch drive support will allow you to drive your home entertainment experience from the 4 inch x 4 inch form factor, so you can create a digital media center or personal cloud for your media files that fits in the palm of your hand. 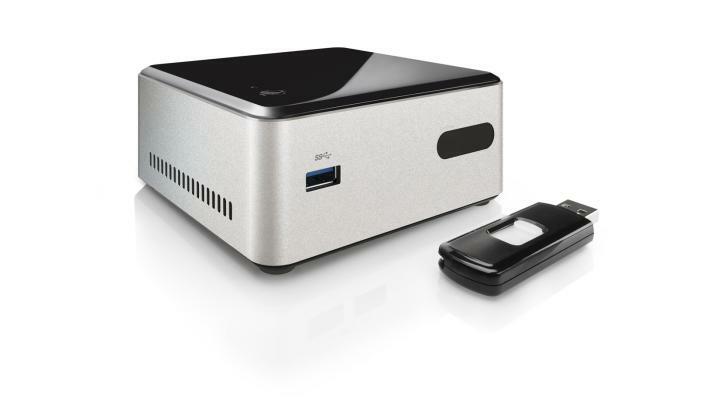 To Recieve updates and possible rewards for Intel Intel NUC Kit DN2820FYKH please sign in. To Recieve updates and possible rewards for Desktop & Mini PC please sign in.